At this point, I'm more than halfway through Montana in mileage. I only have about 100 miles left. As such, I feel ready to give a recap of the state and the ACA route through it. First of all, the sky is big. No doubt about it. The mountains and valleys are spaced such that you often have a clear view for many miles. I find this to be extremely satisfying, especially when I can see a rainstorm 6 miles away and get ready for it. We met Ryan Thomas in Butte, one of the nice Montanins who is planning on doing the Tour Divide race next year. The people! I really have never met nicer people. This was especially exemplified in Helena. Even before Helena, I met a woman in the town of Ovanado, who asked what we were doing and gave me her business card telling us "if we needed anything, place to stay, a shower, etc. ", to call her. She was from Helena. Before we went to sleep in town, we got three, un-solicited offers to stay with someone in town. (This is actually really convenient because the nearest campgrounds are outside of town by a few miles.). We ended up staying with the owner of the Great Divide Cyclery, Dan, and his lady, Lani. They were truly awesome. Also, if you eat lunch at Taco Del Sol, it's on the house if you are doing the divide. Who knew!? I've only ridden about 750 miles in the trip yet, but the passes have been numerous in Montana. Doing 60-70 miles a day, there is at least one, maybe three passes in a day. So this means between 1,500' and 2,000' of climbing over a distance of three to seven miles at any one time. One day we crossed the path of the Contintal Divide three times for a whopping yotal of 6,000' of elevation gain that day. For the people who race the Tour Divide, I don't envy the fact that you probably do twice this. It seems that the northern sections of Montana were a little more pristine in terms of forest; although there was a fair amount of logging. After Lincoln, more and more of the landscape is shaped by cattle grazing, meaning that much of what you see is grazed-over land, stumps, and cattle fence. Compared to the national forests of Canada, the National forest land in Montana is pretty dismal. The mountains and valleys. To balance out the statement above, I just rode through the biggest, most surreal place I've ever been. My pictures don't do it justice. 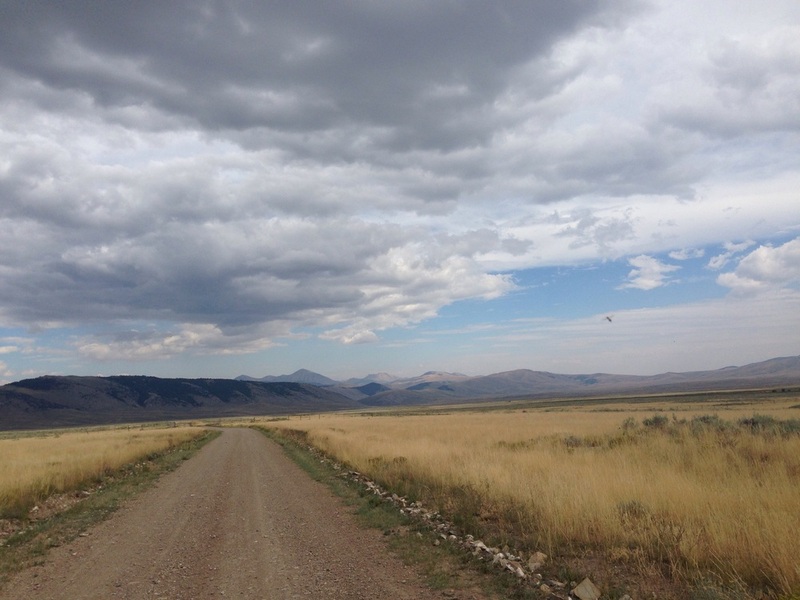 The wilderness area between the Tendoy and Beaverhead Mountains near Big Sheep Creek was like being in a level of inception where there is only mountains, sky, and valley. All covered in low sage brush, sparse grasses, and the occasional tree. 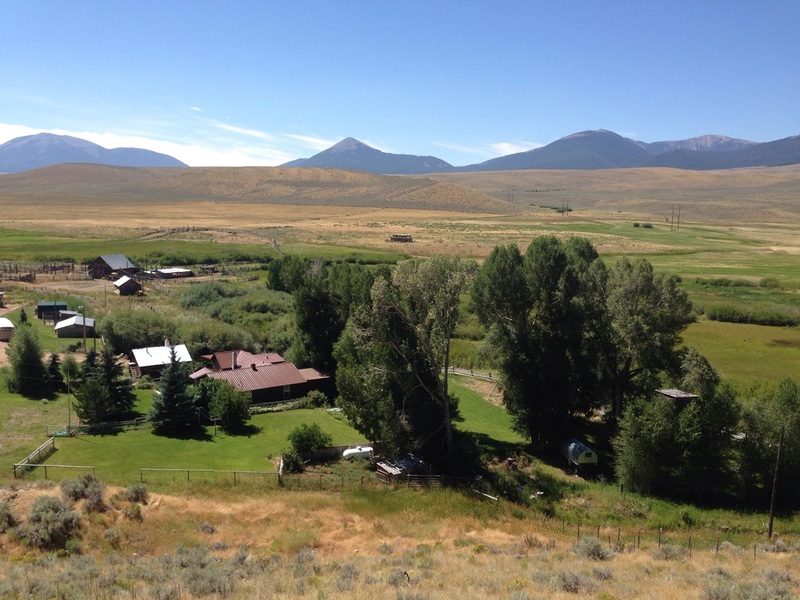 Toward the town of Dell, the creek and road winds through folds of mountains, crumbling cliffs with pockets of swallow nests, and sage brush the size of small trees. Get out there, it's beautiful. It seems that a select few of Monanatans love their lawns. Every so often, you'll see a brilliant patch of green in a sea of earthy golden browns. I've been told that this is mostly because people have their own well water, the supply of which does not seem to be an issue. It is an interesting sight, as people's houses are a small piece of a usually otherwise very large plot of land. As I prepare to leave Montana and enter Idaho, I think that I have enjoyed the towns we've passed through... Some touristy, some small-town, but all a welcome sight. The mountain passes have been difficult but gorgeous, and fun on the descent. 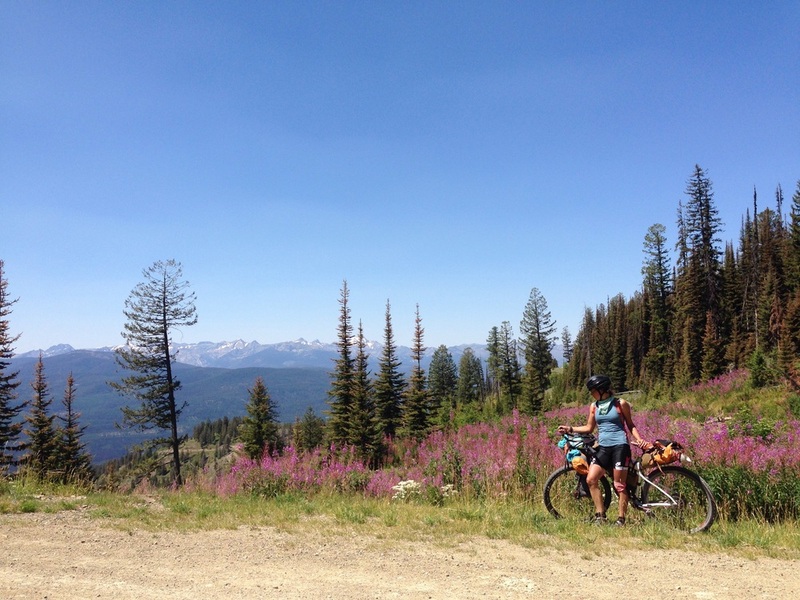 If I came back, I'd do it with an unloaded bike and spend some time exploring the singletrack around Whitefish and Helena.